After explaining how to use PMD with NetBeans in this post, let me describe how we can directly run PMD using Maven, without the help of an IDE plugin. invoking the PMD plugin for Maven. (Of course, maven-pmd-plugin version can vary. See here for last updates). which will create a file named target/pmd.xml. XML is the default output format but it can be changed with the format configuration option. The file contains all violations detected by PMD in all source files found in the project. Test files are not checked in the standard configuration. By default, only rules from the following rulesets are checked by PMD: java-basic, java-imports and java-unusedcode. We will see later how to control which rules and rulesets should be checked. In the second approach, PMD is invoked during the Maven site command which is a reporting command. In this case the PMD plugin definition should be placed inside the reporting/plugins section of the project pom. Note: the jxr plugin is useful for source code analysis. 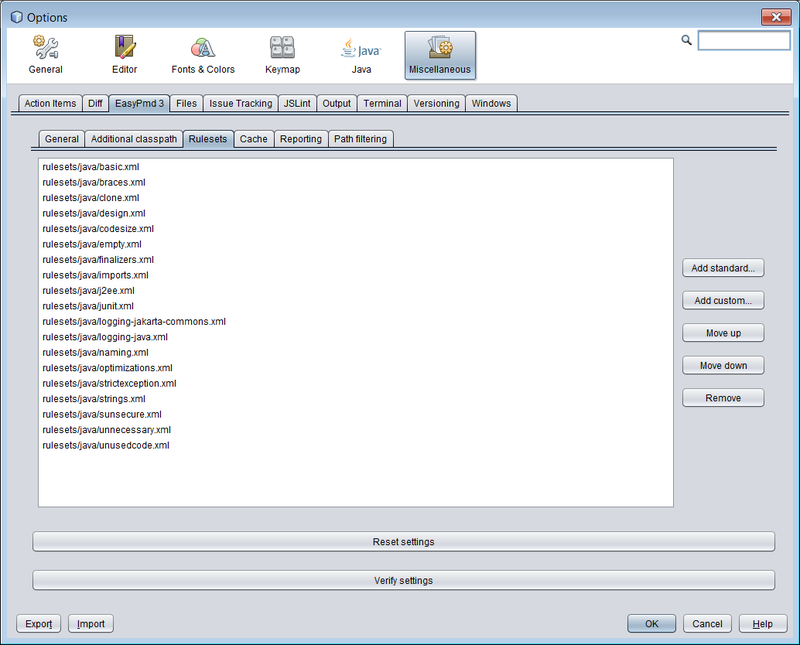 The reporting section usually has more plugins that the two shown in the examples. Here the PMD plugin has been configured with a couple of important parameters: the Java version (targetJdk) and the set of rules and ruleset to be used (rulesets/ruleset). 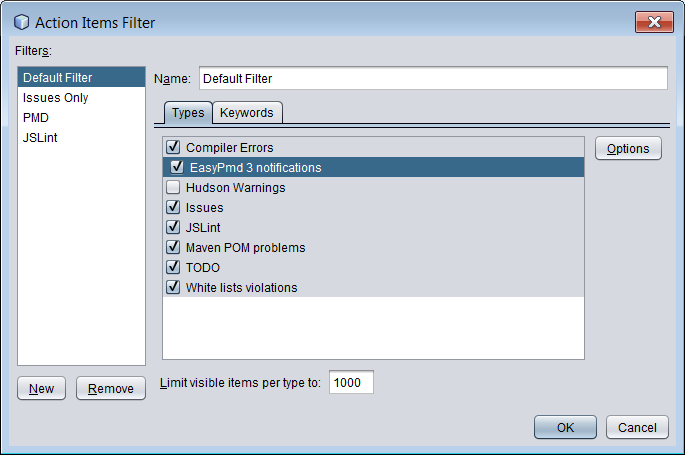 My usual approach (described in the PMD in NetBeans post) is to define a custom list of rules and rulesets to be checked by PMD. 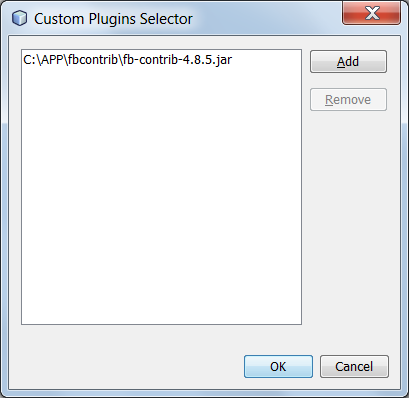 With the Maven plugin we can use the same XML file used to generate the jar file for EasyPMD plugin. We will have the same check results from NetBeans + EasyPMD and from Maven. Very good. I usually save the custom rules file in the root of the project with a name like “pmd_rules.xml”. Not so smart name but easy to understand. Of course, it is versioned together with the project files. Being versioned and saved in the repository let us share exactly the same PMD setup among all development team members. In the pom we have specified a relative path so we will not have problem to access it from different project installation paths. so running mvn site (or mvn pmd:pmd) on a module will work. Only mvn site on parent pom will not work (but this is less important). The two approaches I described are not exclusive and they can both be used in the same project. Just remember to have the same configuration in the two pom locations (build/plugins and reporting/plugins). PMD is a powerful source code quality checker which analyze our code and report bad coding habits, failures to respect naming conventions, inefficiencies and many others. PMD has an internal list of rules to be checked. Rules are divided in sets. Each set contains several rules. 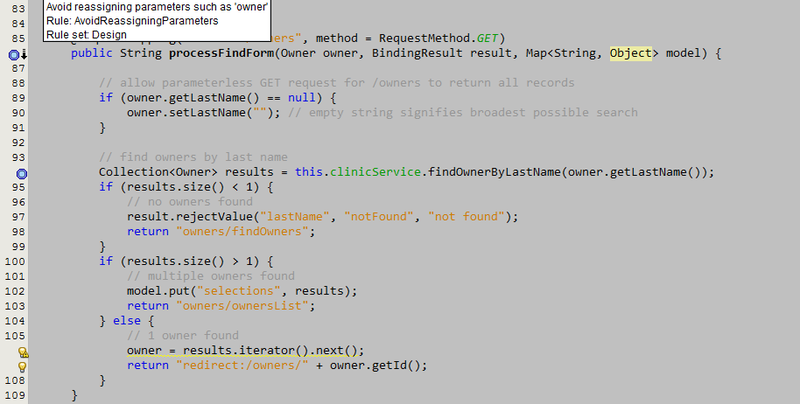 For example the “Comments” set includes all rules related to code comments. PMD rules sets are documented here. On my opinion a PMD rule violation should be intended as a suggestion to better check the code to be sure that the offending code line is really what we want to have. Often PMD is right to say the line should be fixed or at least improved. 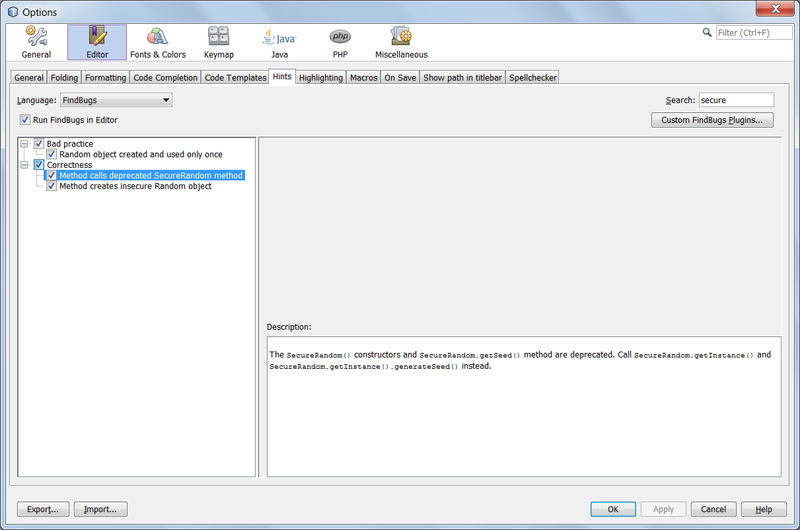 In NetBeans PMD is enabled by the EasyPMD3 plugin available from NetBeans plugin area and from the plugin home page ( http://gianlucacosta.info/software/easypmd/ ). Note: There is an enhancement request to introduce native PMD support in NetBeans, like what has been done with FindBugs. One very important point to remember is that EasyPMD (and so PMD) is controlled by the “Action Items” window settings. Just click on the “Action Items” window filter icon and check that EasyPmd notifications are enabled. If not enabled,PMD will not check the code. In the above picture, PMD reports that the field callCount is initialized to zero but this is a meaningless operation because zero is the default value for numeric fields. Actually this initialization will cost us few cpu cycles. This is the PMD “RedundandFieldInitializer” rule belonging to “Optimization” rule set but there are many others. 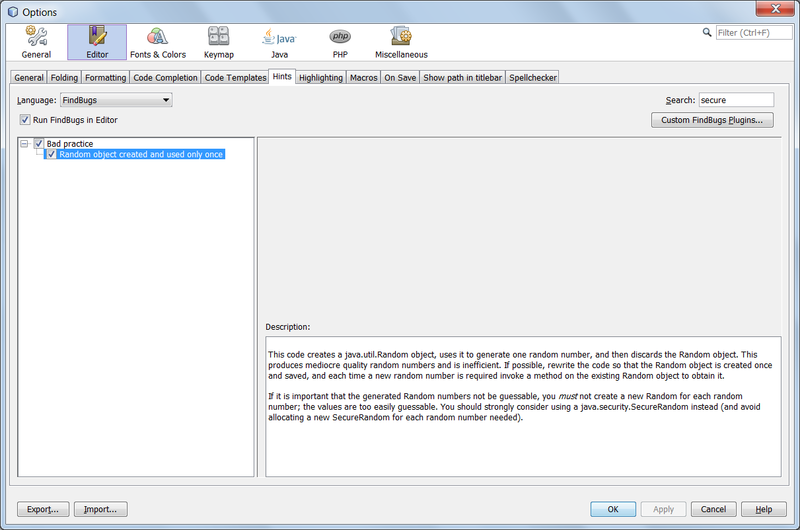 Some PMD rules conflict with NetBeans hints because they check the same situation. The processFindForm() method in the picture reassigns one of its parameter (owner); PMD reports it at line 86 while NetBeans at line 106. I usually disable the PMD rule if there is an equivalent NetBeans hint, also because some NetBeans hints give us the possibility to fix the problem with a dedicated refactoring (but not the one in the picture). PMD is an pure analyzer so it does not perform any change in the code. There are several rules and rules sets available in PMD but not all of them are relevant for us. For example the “Android” rule set is of course not interesting for Java EE applications. Thankfully we can select rules set and single rules we want PMD to check. EasyPMD give us two approaches: select the rules sets to use but not the single rules or full freedom in rules and rule sets selection. The list in the picture contains all rules set we want PMD to check. Single rules can be included or removed with the “Add Standard” and “Remove” buttons. The alternative solution (full freedom) requires a preliminary activity: to prepare a jar file with the PMD rules set and rules we want to be checked. Detailed instructions to prepare the rules jar can be found here. In the fragment above, I selected the complete “basic” rule set and the “comments” rule set except the “CommentSize” rule. The rules jar is also useful to share PMD rules across the development team. 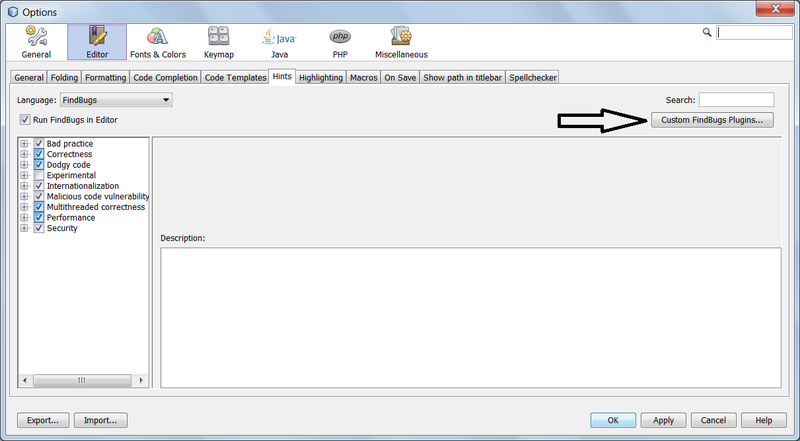 The jar file can be placed in a shared area and all team members can refer to it in their (local) EasyPMD configuration.